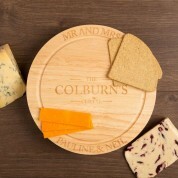 Our stylish engraved cheeseboard is the perfect gift for any couple who love the finer cheeses in life. An ideal gift for weddings, anniversaries, or Christmas. The round cheeseboard is made from light coloured hevea wood, and features an integrated cheese knife compartment. 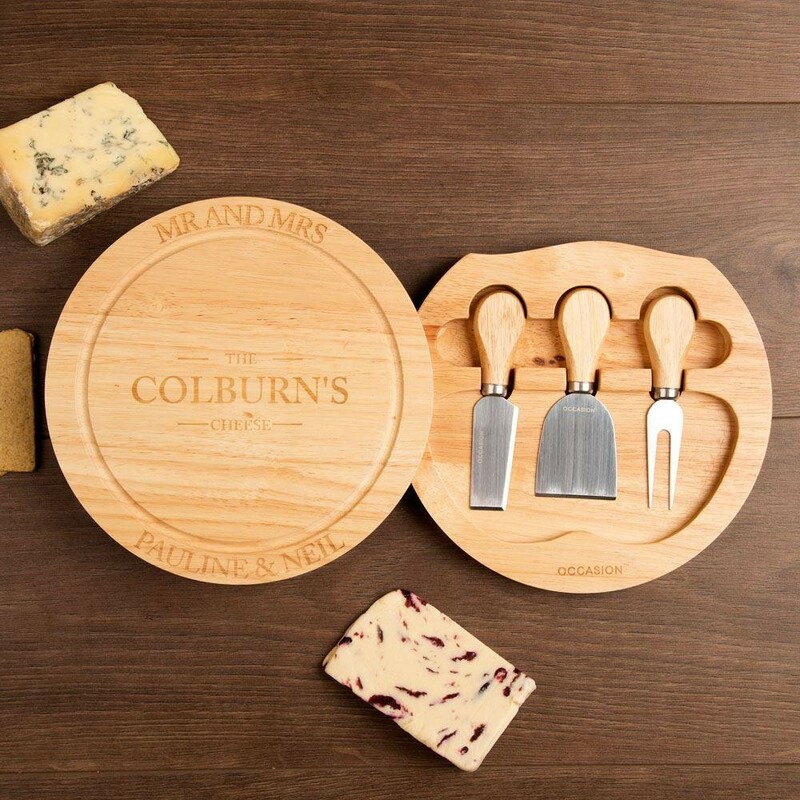 The top easily slides round to reveal a cheese fork, stilton knife, and cheddar knife...perfect for getting stuck in to the tasty cheese on top! It is fully personalised with the happy couple's names, titles, and surname in the middle. The classy design looks great with or without cheese on it. 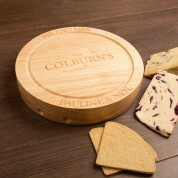 The cheeseboard is made from natural wood which can cause some variation in the grain, meaning engraving may appear darker or lighter than pictured.